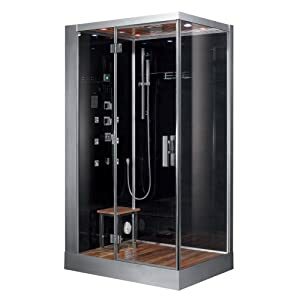 In order to help you decide on the best steam shower around, we have compiled a few steam shower reviews and some additional information to help you decide which is the best home steam shower for your purposes. There are very many different steam showers to choose from, so we have made our selection using a cross section of different steam showers. 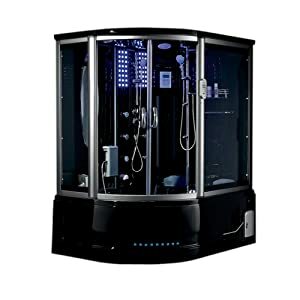 Indulge yourself in the pure relaxing pleasure of the Aerial Platinum left side model steam shower. With all the pros of a 6KW steam generator and the added health benefits, you no longer need to to the gym or spa to experience this pleasure. If you want all the bells and whistles in your steam room, then this one is most certainly for you! Including a bath, rain shower head, hand held shower, and more added extras, this free-standing unit certainly ticks all the boxes you could possibly dream about! Plus, leakage is prevented by means of a water proof plastic belt around the shower room. When space is an issue, the combination steam shower and whirlpool tub is the ultimate luxury. Not only do you get the benefit of a relaxing whirlpool tub with all its benefits, but the added advantage of a steam shower as well. If you want your pie and you want to eat it as well, this combo is the ultimate in luxury solutions. 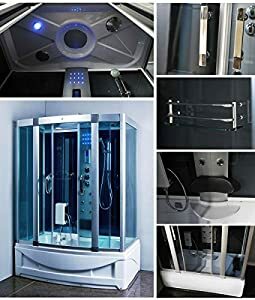 Steam room features a rainfall shower, multi-functional sliding handle shower, 6 back massage jets, a computer control pad, FM/CD connector, hand free phone receiver, loudspeaker, digital timer/temperature display, roof light, foot massage feature, ventilation fan, and fog free mirrors and glass. This large, luxury, free standing unit is packed with many features that will set your heart on fire and ease your tired muscles at the end of the day. The added extras are a sure-fire winning solution for even the most difficult to please person. These unit are fully loaded, sporting all the extras that add to your relaxation (and therapeutic) pleasure! 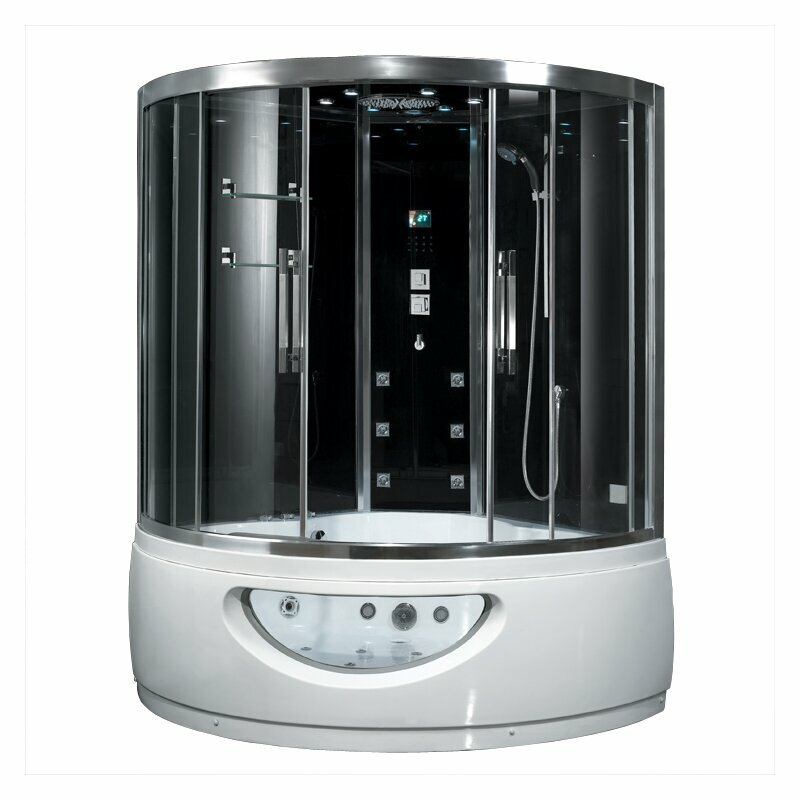 The hydro-massage jets are designed to enhance your steam shower experience. 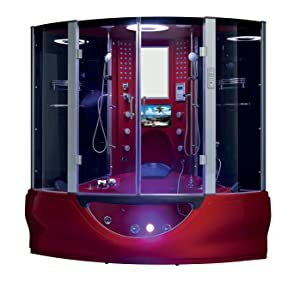 Indulge yourself and relax in this steam bath enclosure, free from your work problems and concentrate only on yourself. Sporting a contemporary design for the discerning home owner, this shower and tub combo ticks all the boxes. The epitome of style, this unit gives you a bathtub and steam shower combination, making it the perfect addition to the bathroom where space of limited but style is the requirement. 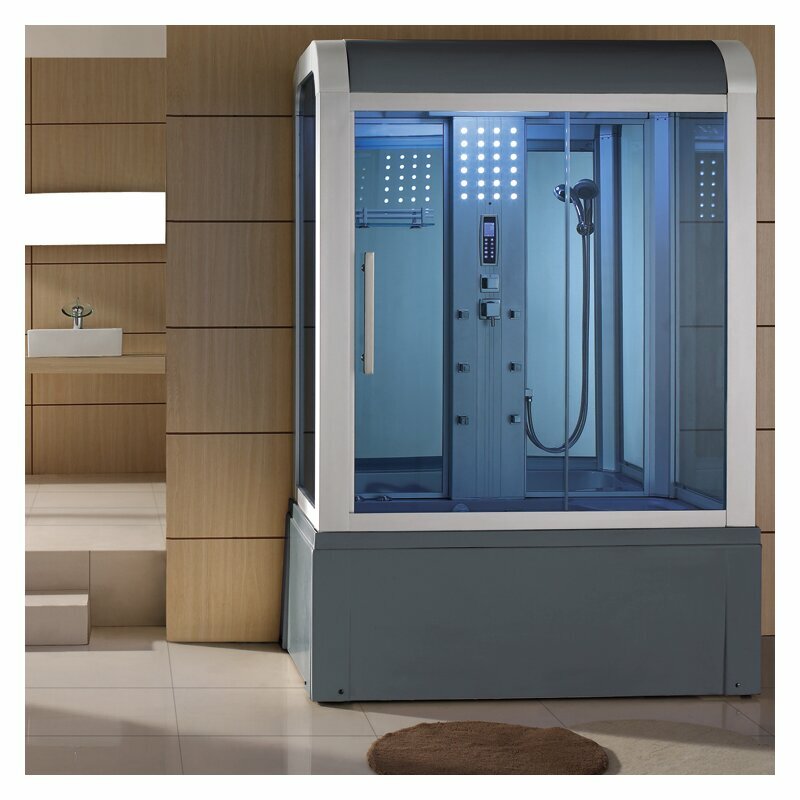 The Milano steam shower unit gives uncompromising quality with a 100% spa experience. The manufacturers thought of and incorporated a host of relaxation principles in the design, including acupressure therapy, a foot massage, and even an aromatherapy feature. Talk about pulling out all the stops! This unit not only has every conceivable feature but you get to watch your favorite movie or game while chilling out in stylish comfort. The red of this unit spells one thing: decadent luxury at its best! The stressful lives we lead today often leaves us with health problems, aching muscles, and stressed out. 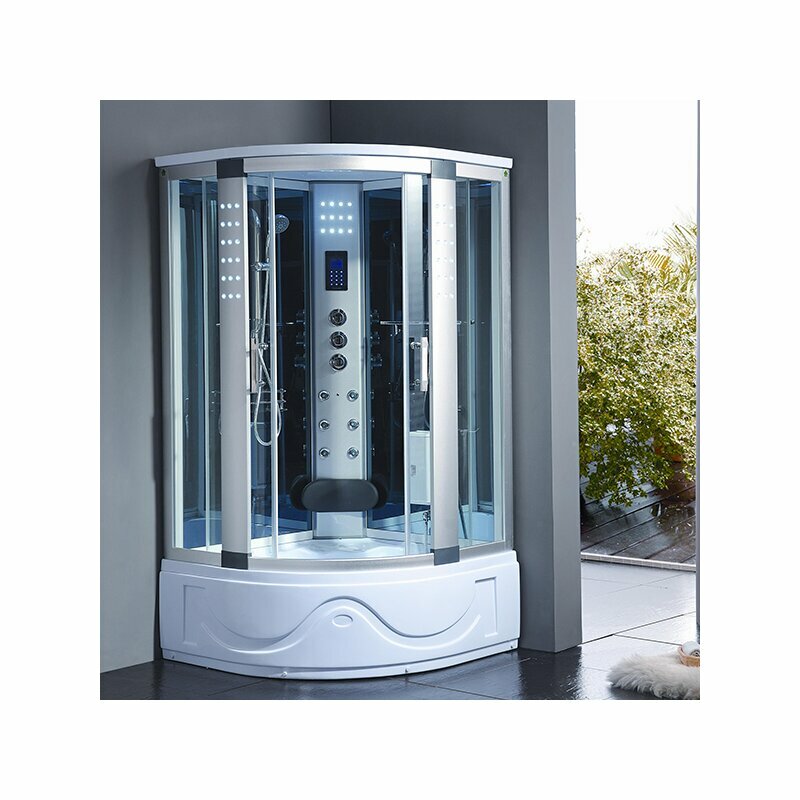 A steam shower, in the not so distant future, may not be seen only as a luxurious indulgence, but a health necessity. 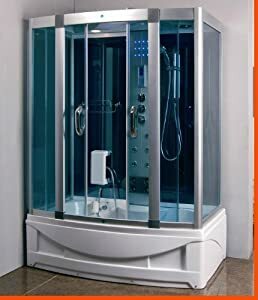 There is no getting around the health and relaxation benefits you get from a steam shower.But before you go ahead and purchase one, take the time to consider the following points. Take note of the maximum ceiling height: If your ceiling is higher than the height of your steam shower unit, or your ceiling design is not standard, you may need to add a higher rated steam generator because of the added volume. The floor Ensure you have a non-slip floor. Slipping and falling is a health hazard. Your plumbing: Before installing your steam room of choice, make sure to ensure your plumbing connections support it. Your power requirements: Make sure your steam shower complies with your home’s electric requirements. You may need to install a separate circuit breaker for your steam room. Hydrate: Even although a steam shower is wet heat, you can still easily dehydrate. So drink plenty of water before taking a steam shower. Preheat: Activate the steam shower function about ten minutes before getting in because it does not easily get to the maximum heat when someone is inside it. Be quick about getting in: Keep the door open as short a time as possible so that steam and heat does not escape. Turn on the extras: Once you relax in your steam shower, turn on the optional extras such as the radio, aromatherapy function, etc. The grand finale: You can sit in your steam shower for anything between fifteen to thirty minutes. Once you are nicely relaxed, turn off the steam function and turn on the shower. Once done, open the doors to allow the steam out. Hydrate: You lose a lot of water via sweat. So to ensure you do not faint or get a headache, make sure to drink a glass or two of water after your shower. Picking the best steam shower from the roundup is a difficult task. Each unit has its own unique qualities that make it an excellent option. However, if we had to pick only one, the prize would go to the Maya Bath Superior Steam Shower Sauna With Jetted Jacuzzi Whirlpool massage. It has just about every luxury imaginable, with a few extra thrown in. The extra storage shelves, television, and emergency button (a great safety feature), just gives it that extra edge over its competitors.